Damnation or just good booze? We find out in Episode 8 of Make it a Double! Join me as we discuss how truly important wine is in the Christian belief with my friend Paul Adams. Paul is a Christian Philosopher who writes as a regular blogger on www.InChristus.com. It's a great blog for anyone interested in theological, biblical, and philosophical musings. Paul intends to encourage thoughtful and civil dialog. Then travel with me to Salem, MA where we meet Ian Hunter and Jesse Brenneman. They are the men behind the Deacon Giles Distillery. They've created a very tasty rum and gin all while preserving the tale of Deacon Giles. A fictitious character created to to scare the town folk of Salem in 1835 into believing alcohol was evil. The story accused Deacon Giles of hiring demons to operate his distillery. The story might be fictitious but the purpose for telling and the results were far from it. We have an interesting, thought provoking episode for you. So why not grab your favorite drink and enjoy the show!? 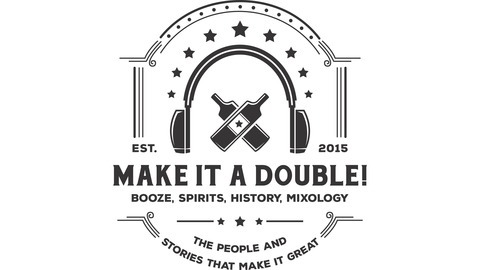 Also, don't forget to check out Make it a Double podcast on Facebook and Instagram. 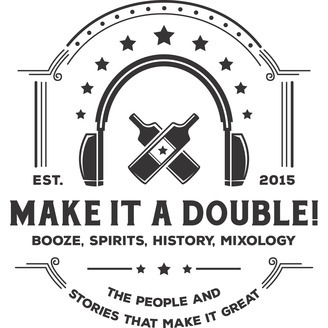 Simply search "Make it a Double podcast" I post pics and interesting facts about al our favorite spirits and cocktail. Feel free to reach out with and show ideas or just to chat! I'm always excited to hear from our listeners! Cheers!